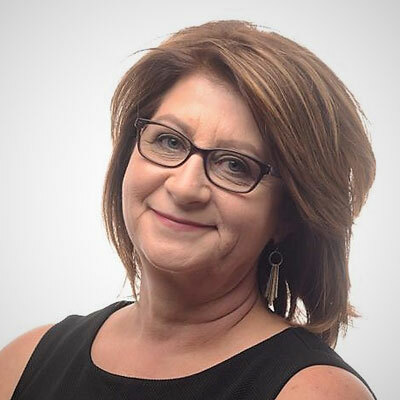 Patty Krieger is currently the CEO, Co-Owner, and Visionary for Netrix Information Technology, Inc. (Netrix IT) As CEO, she focuses on building the business/team to provide best in class Managed Services and ProActive IT Solutions to clients. As a solution provider of managed services with 30 years in the industry, Krieger has driven Netrix IT to focus on value and security. As Patty explains, "Value is delivering more than the clients expect." To that point, Netrix IT has done much more than talk about business security, they have led by example and achieved a SOC 2, Type 2 Certification which helped Patty earn the CRN Women of the Channel 2016 award. In addition to being a member of Channel, Patty has been a passionate advocate and volunteer for the Down Syndrome Association of Minnesota. Her involvement includes 23 years as a coach, supporter, and mentor in Special Olympics. Additionally, she currently holds an executive board position at NAWBO (National Association for Women Business Owners- MN), an organization that advocates on behalf of women business owners and the issues that impact their companies. Patty loves to spend her free time with her family and in her garden. Previously, she worked as an Account Executive for Vision Micro where she started a service division within this "white box" computer company and built and grew a new client base. I have helped advance my business by building a great team of leaders. Since recently taking over as CEO, we have added many positions. Growth, retention, and profitability are my goals for my channel business in 2018. This year it's all about getting back to the basics of business. Cindy Wangerud because of her determined attitude, positive outlook and tenacity. At 28 she was diagnosed with Pulmonary hypertension (PH) a life-threatening condition. Due to its progression, Cindy needed to undergo a double lung and heart transplant. She was approved to be placed on the donor list and moved to another state to perform the complicated surgery. With everything that life had handed her, she maintained an optimistic outlook on life, now has a family; something she never thought would happen and gives back daily to others. She inspires not only myself but others, never feeling sorry for her lot in life. Her ability to live life to its fullest continues to inspire; me to live in the present and know what's important. to me. Take chances and calculated risk. Don't be afraid to try something new that has peaked your curiosity. Relax and enjoy the journey, live in the moment, date more and don't be such a pleaser. Public Speaking to allow me to share my experience and message expertise with others. I have learned so many valuable lessons as a 40-year business professional working in the IT industry. I feel by sharing my challenges, failures, and successes with others they might be able to avoid a few of the mistakes I made and advance faster on their success path. 5 Levels of Leadership by John Maxwell; I read the book several years ago and reread it to work on my leadership skills. This book also reminded me of the value I can bring to others to learn and grow through my mentoring and support. We are all in this together, and each has a responsibility to learn, grow and share our blessings.